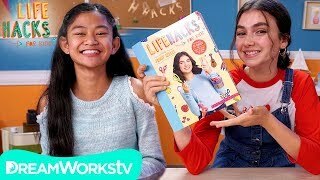 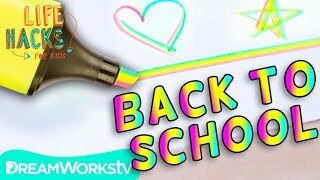 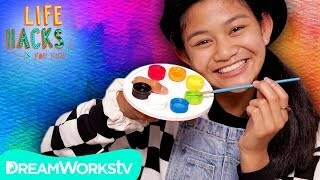 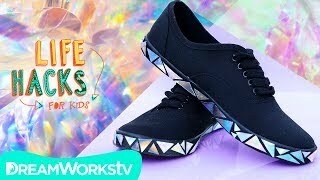 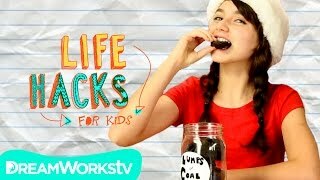 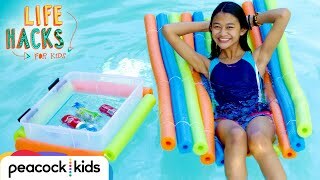 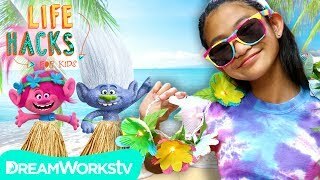 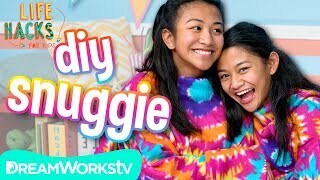 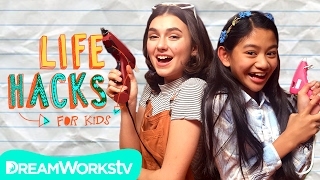 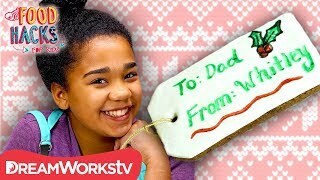 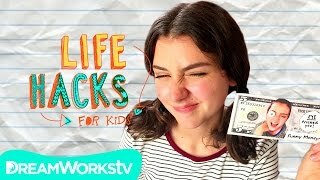 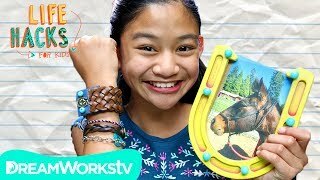 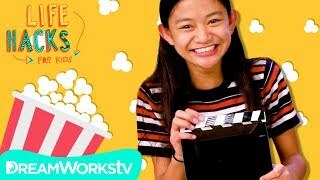 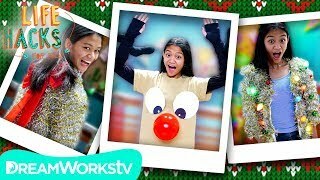 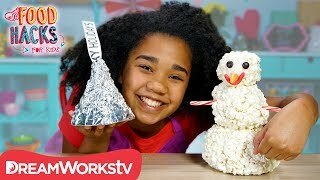 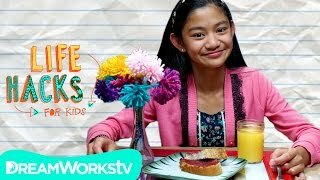 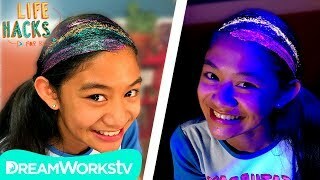 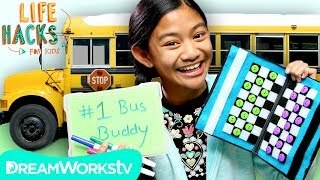 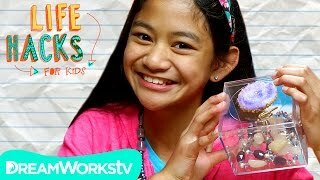 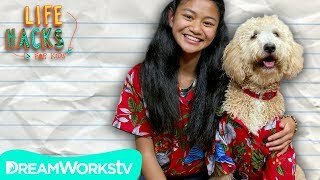 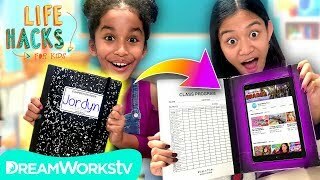 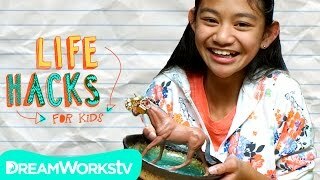 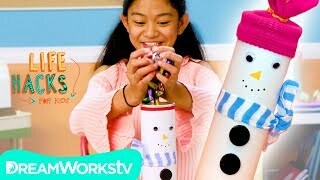 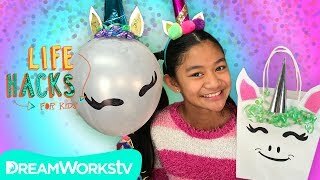 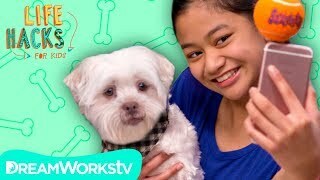 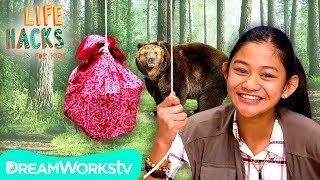 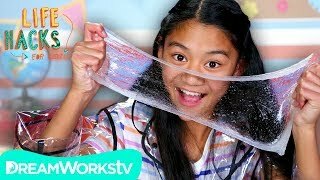 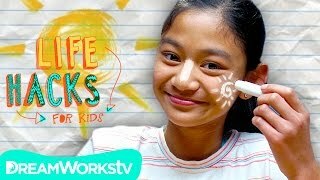 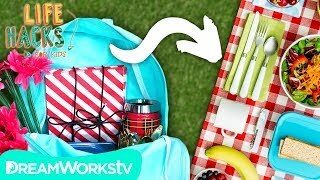 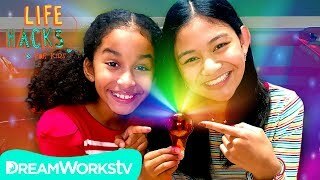 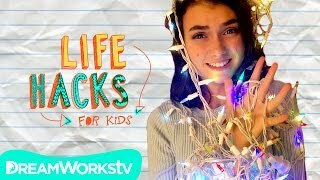 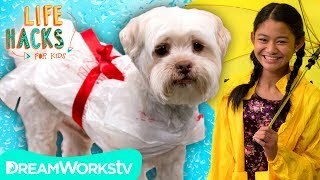 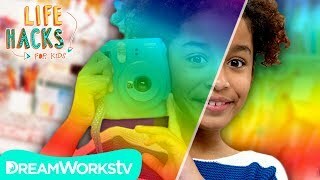 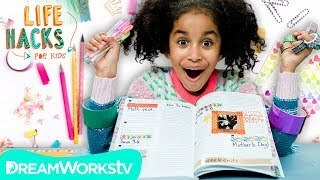 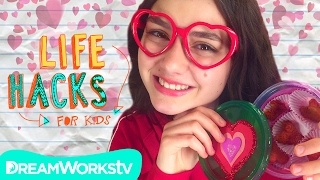 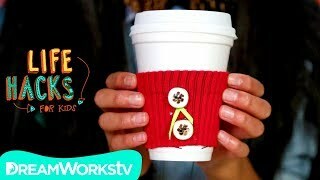 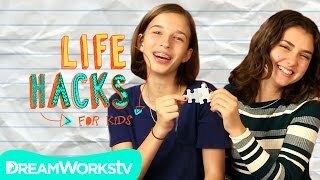 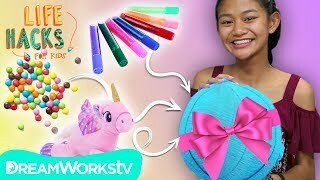 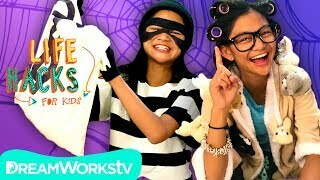 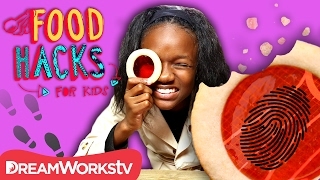 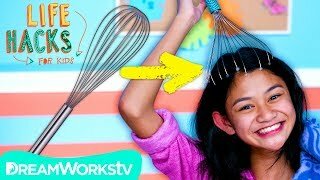 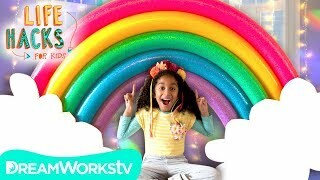 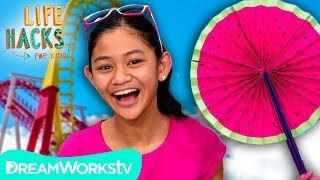 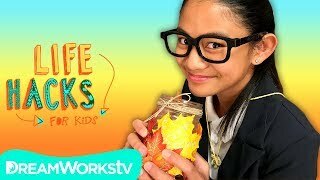 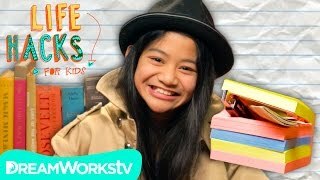 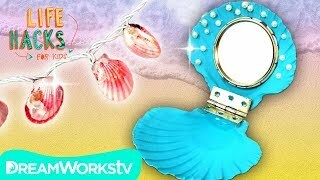 On this episode of Life Hacks for Kids, Gillian shows us some fun holiday hacks including gift wrapping made from candy, a frosted Christmas Tree ornament, and more! 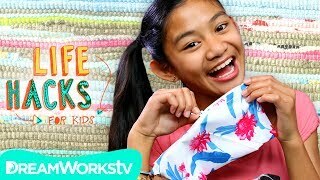 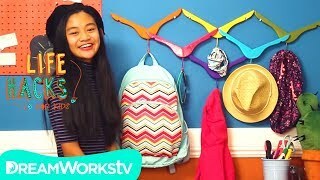 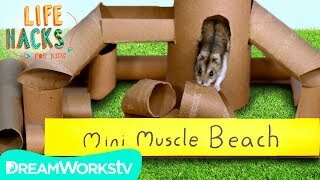 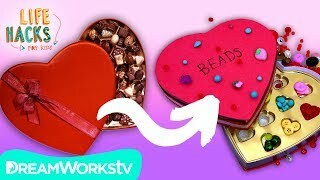 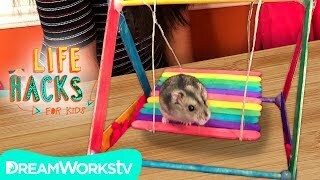 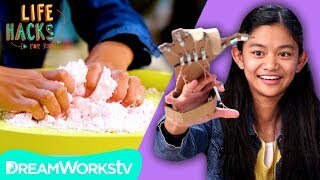 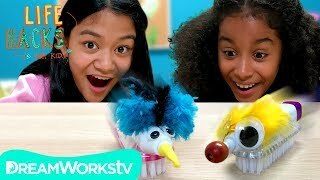 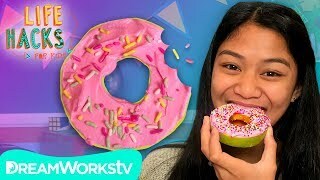 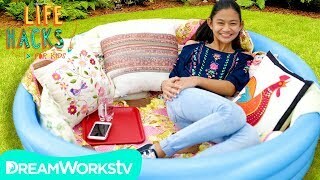 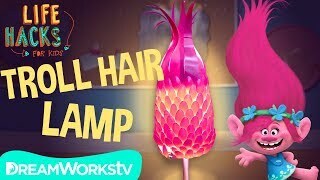 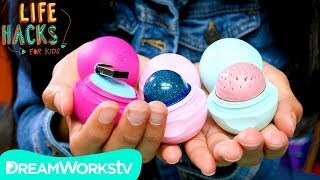 Expert life hacker, Gillian, shows you how to make cool stuff out of ordinary things you have at home. 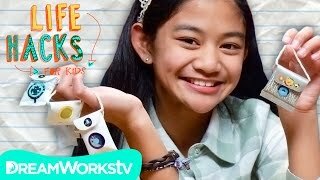 Want to create a harmonica with popsicle sticks? 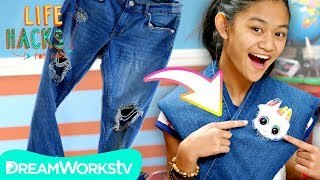 Turn a t-shirt into a tote bag? 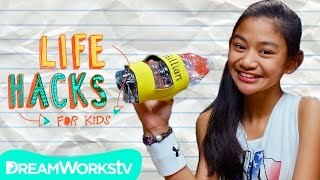 Make a lantern out of a sports drink? 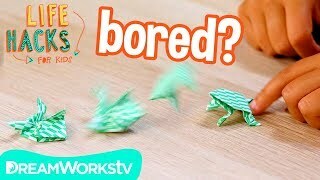 Gillian will teach you how!